NEW YORKERS WILL TELL YOU THAT WE ARE THE GREATEST CITY IN THE WORLD. SOME OF YOU WHO HAVE VISITED NEW YORK MIGHT AGREE OR DISAGREE WITH THAT STATEMENT. 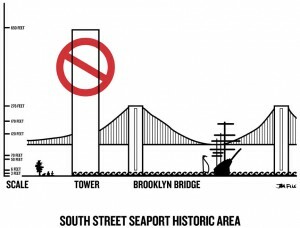 BUT ALL THE WORLD CAN AGREE THAT OUR BROOKLYN BRIDGE HAS A SPECTACULAR DESIGN AND A SPECIAL CHARACTER WITH THAT SPECTACULAR VIEW OF LOWER MANHATTAN THAT MAKES IT A SYMBOL NOT JUST TO NEW YORKERS BUT TO THE WHOLE WORLD THAT THIS IS A SPECIAL PLACE WHERE DREAMS CAN COME TRUE. 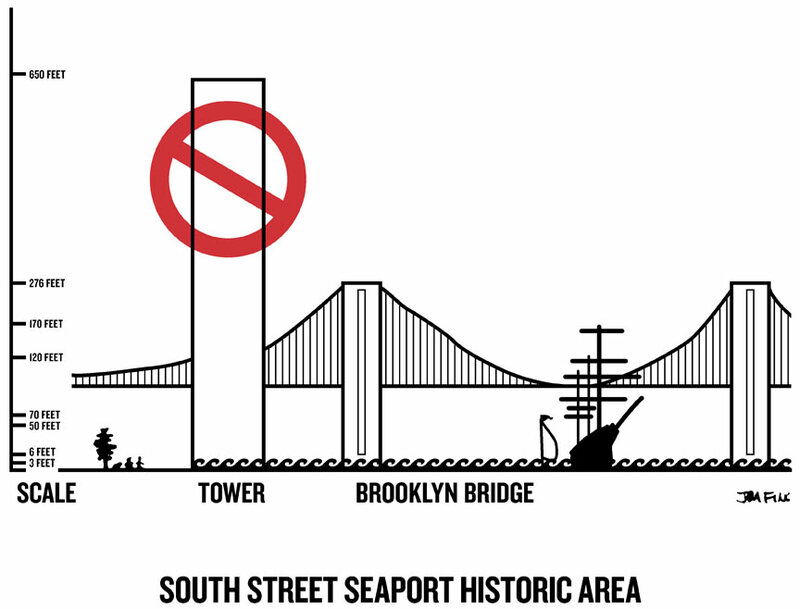 THE POSTCARD ABOVE DEMONSTRATES WHAT THE BROOKLYN BRIDGE WILL LOOK LIKE FROM OUR SOUTH STREET SEAPORT IF A DEVELOPER GETS HIS WISH TO BUILD RIGHT NEXT TO OUR ICONIC BRIDGE. This is the view we seek to protect for all. Write it! Demand it! If you don’t see YOUR country represented here write in and add to our list!